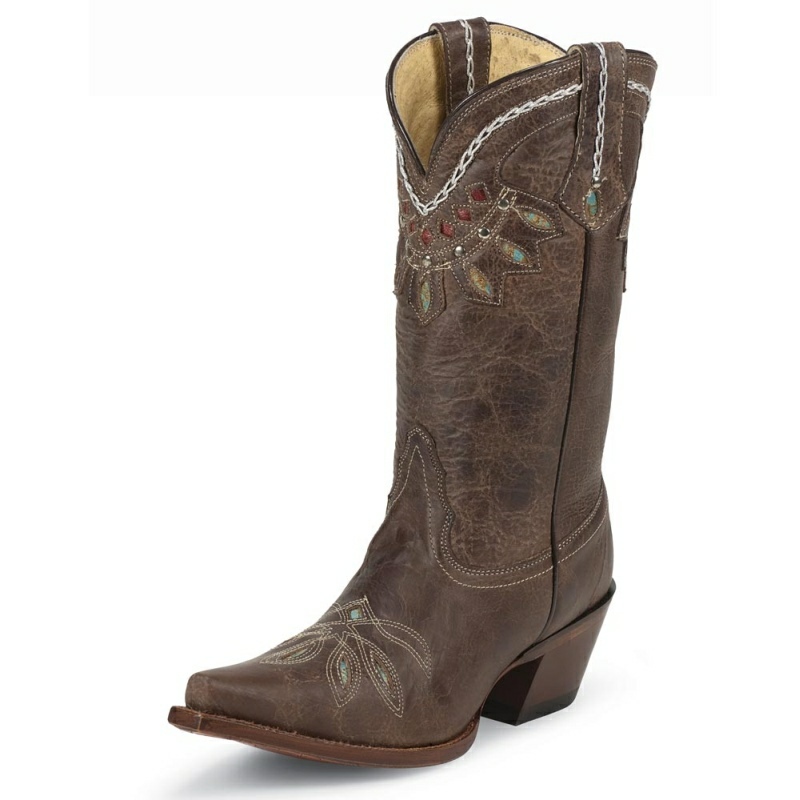 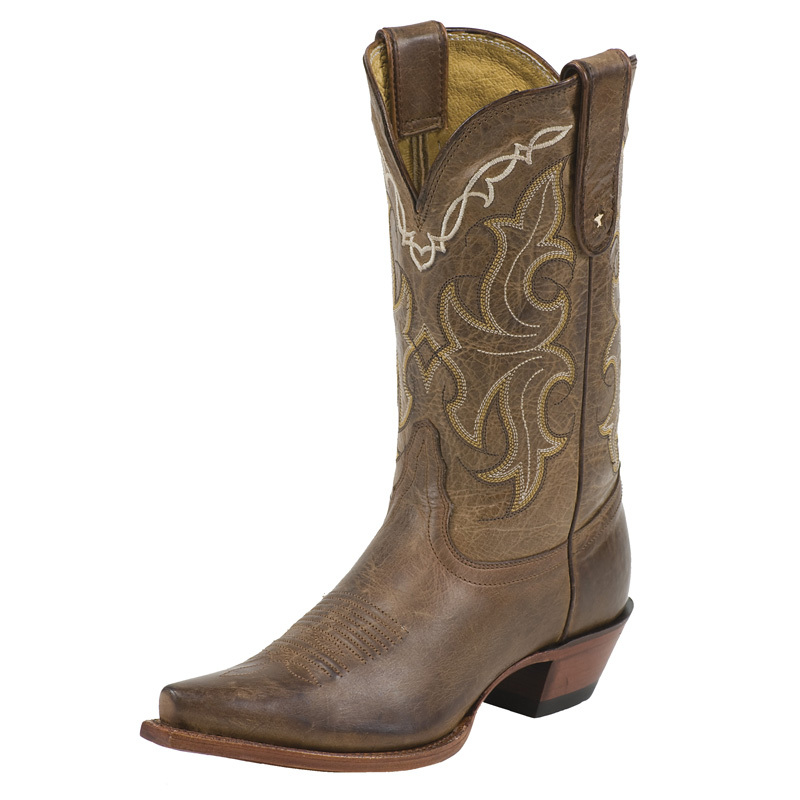 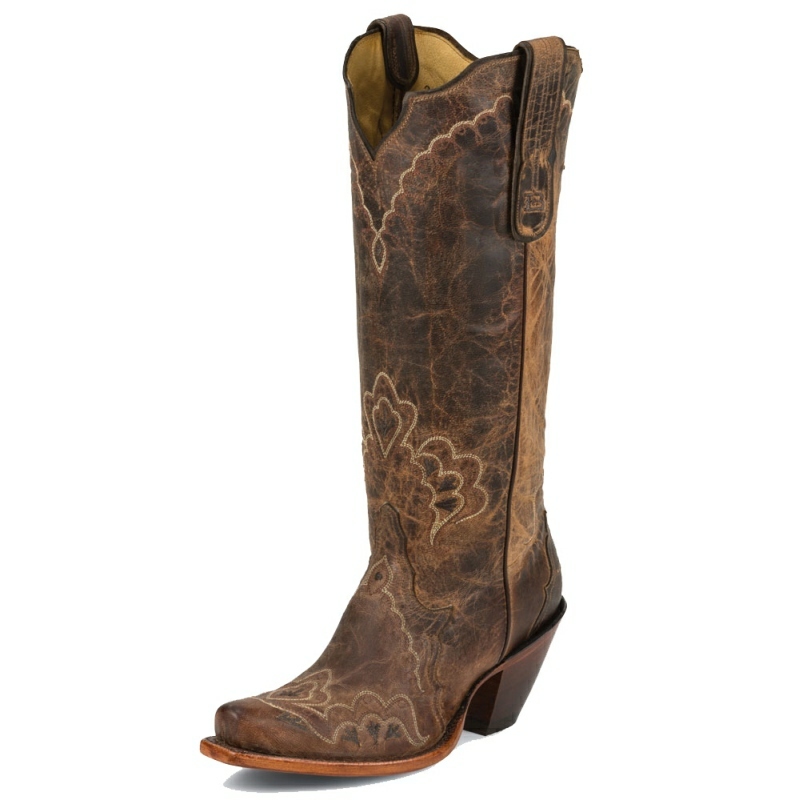 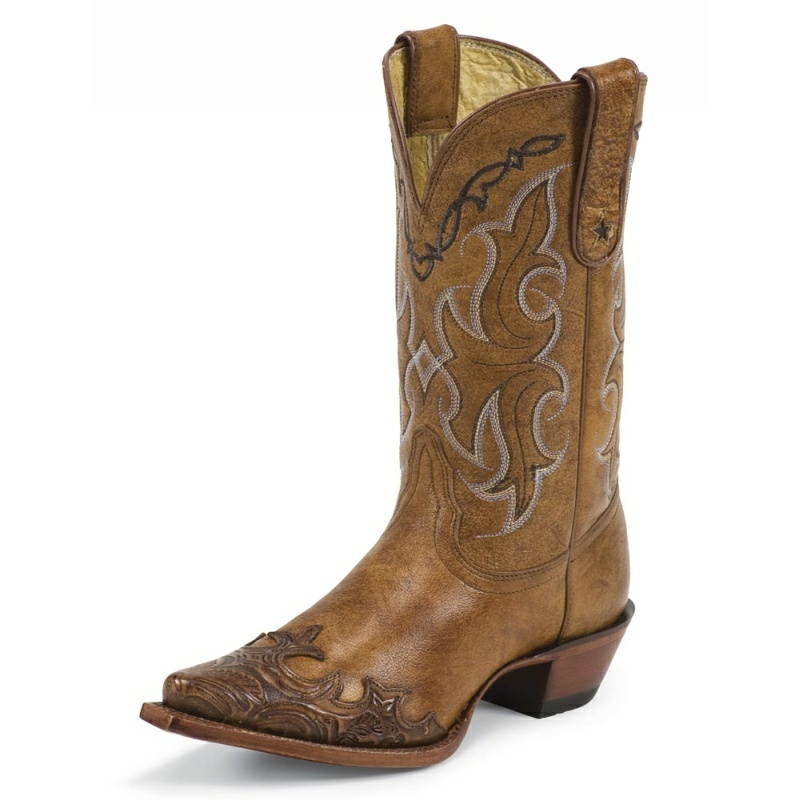 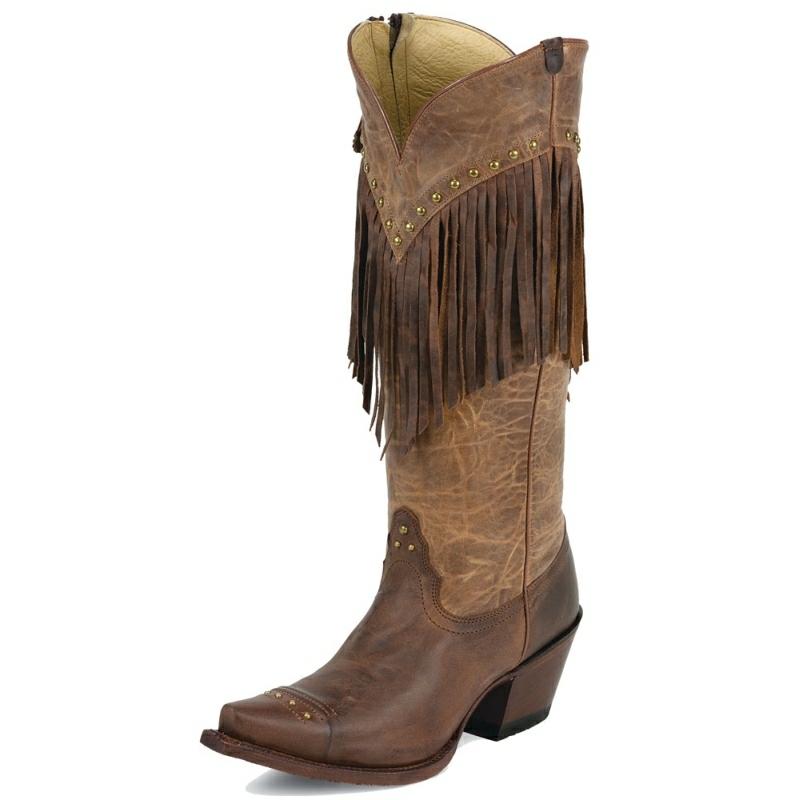 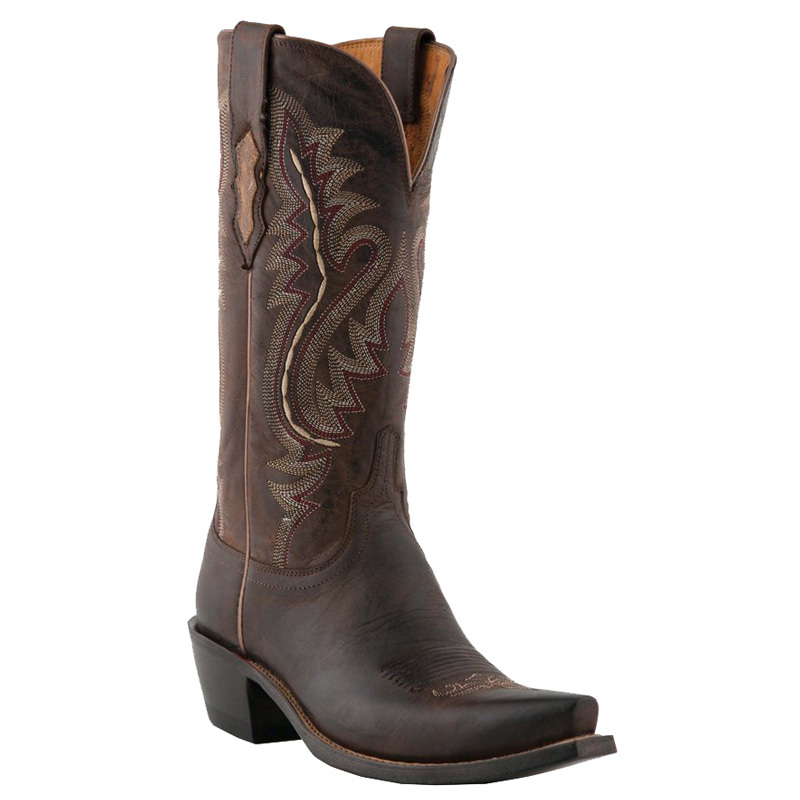 These Western booties have studding and tooled detailing along the quarter in the form of petals. 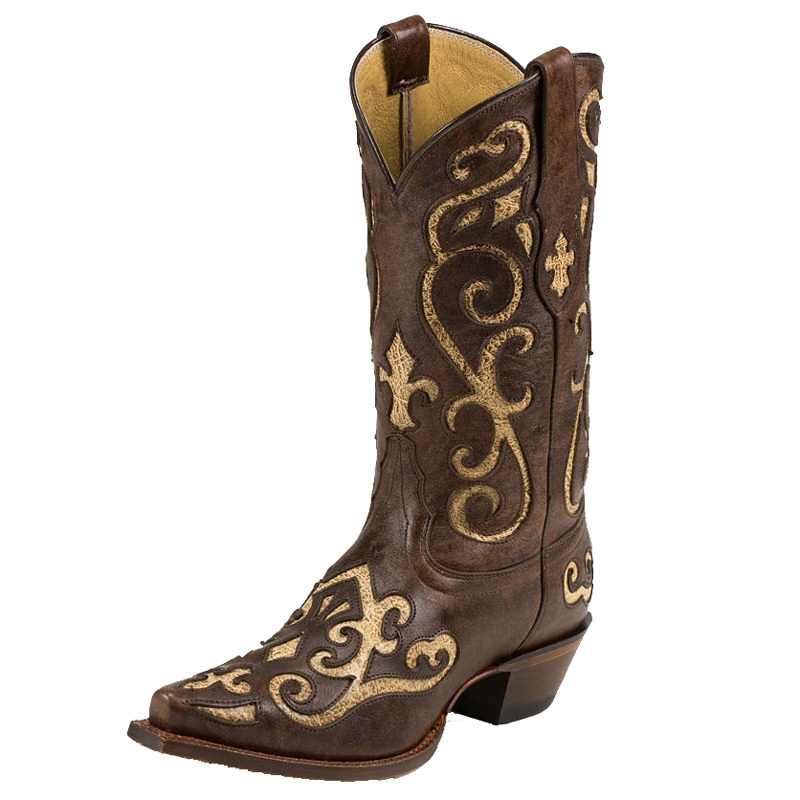 The ornate detailing along the calf leather quarter is mirrored by the floral detail on the toe, creating a feminine and stylish appearance. 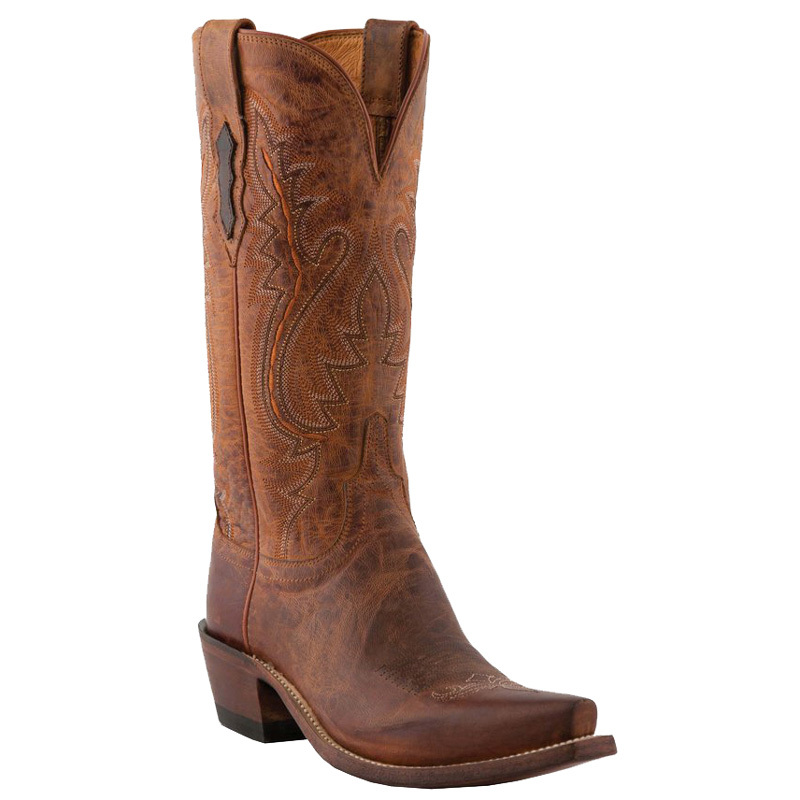 Handmade in Mexico since 1883.